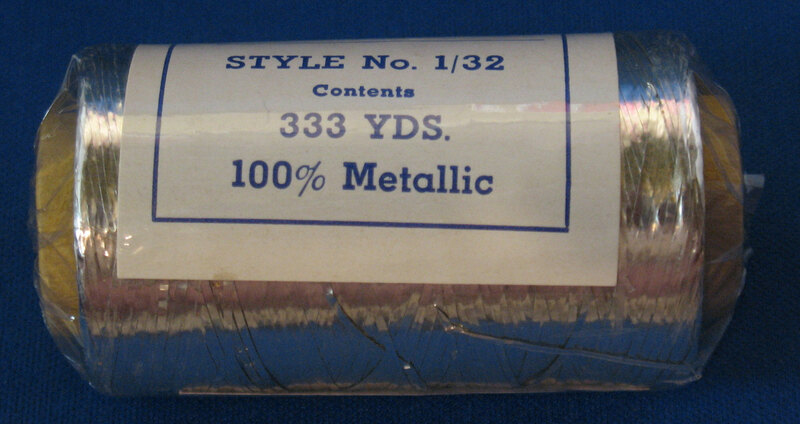 Another interesting vintage find was this spool of non-tarnishing, washable metallic thread. It’s not been opened yet & should be interesting to work with – eventually when I figure out what to do with it! The thread itself looks flat like ribbon. 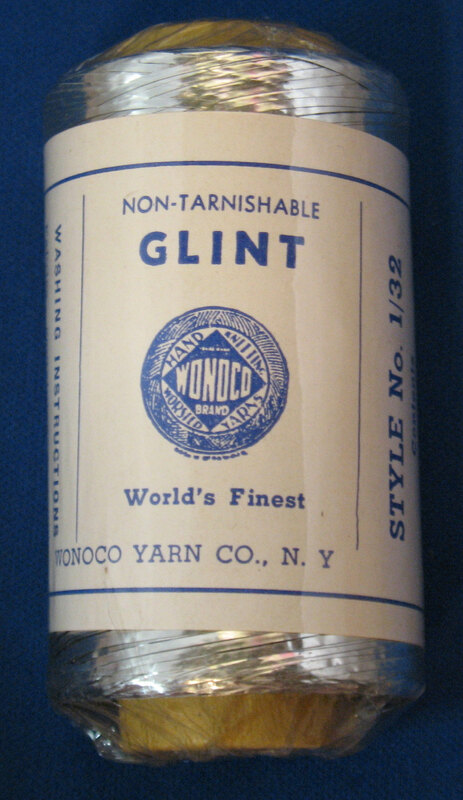 On the internet, I found a catalog from 1937 & one from the early 60’s in which they advertise, “For more than 40 years the knitters favorite.” So, the time frame would be my grandmothers. Finding these vintage pieces is a wonderful opportunity to learn more about the craft of needlework. It looked like a Pulled Thread technique but wasn’t sure. So, I googled it. 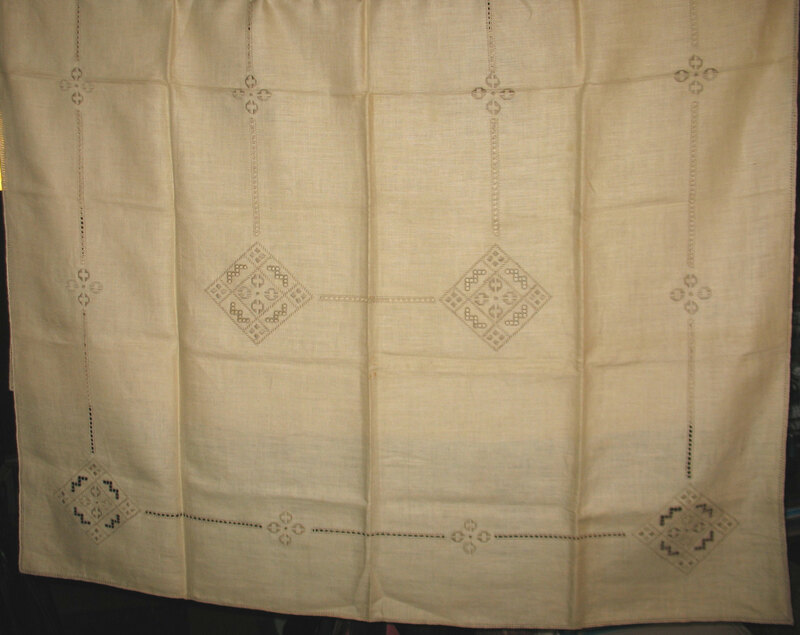 Thanks to Nordic Needle’s website, I learned about the broad categories of whitework & the more specific areas of open-work called Pulled Thread & Drawn Thread. This could have examples of both. Drawn work involves cutting threads & removing them. While pulled involves no cutting. 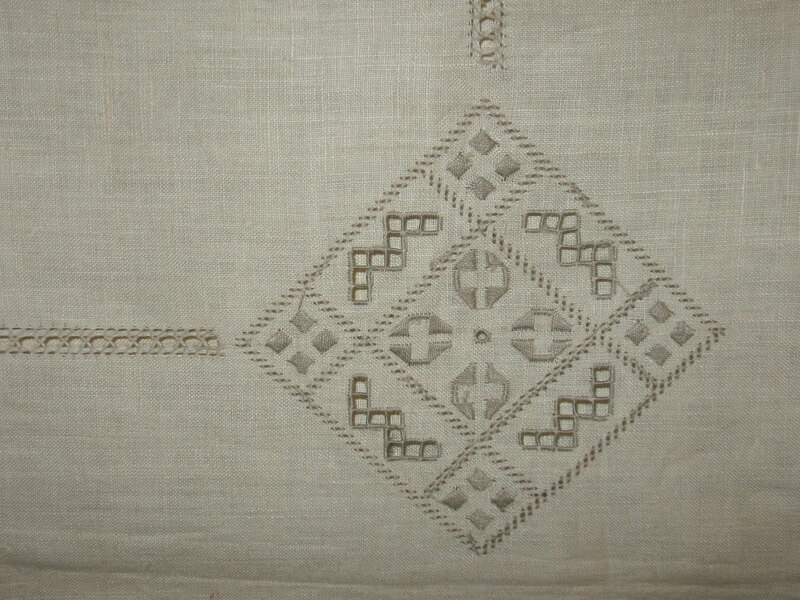 But, I continued to explore & see that it may well be Hardanger Embroidery which employs a combination of techniques including the use of satin stitch & eyelets which this table-cloth has too. All sorts of wonderful information at Nordic Needle!! 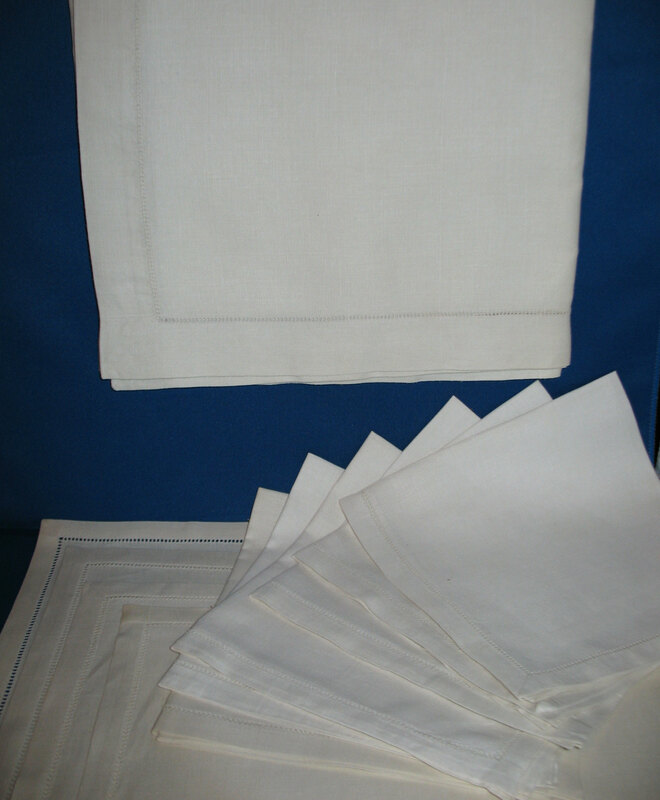 This is a large table-cloth which measures 52″ x 68″. There is still a tag attached but all it says is Hand Embroidery Florence Made in Italy. Beautifully done! These were a wedding gift to my mom & dad. The set includes 1 table-cloth (41″ x 41″), 4 place mats (13″ x 13″), & 6 napkins (14″ x 14″). 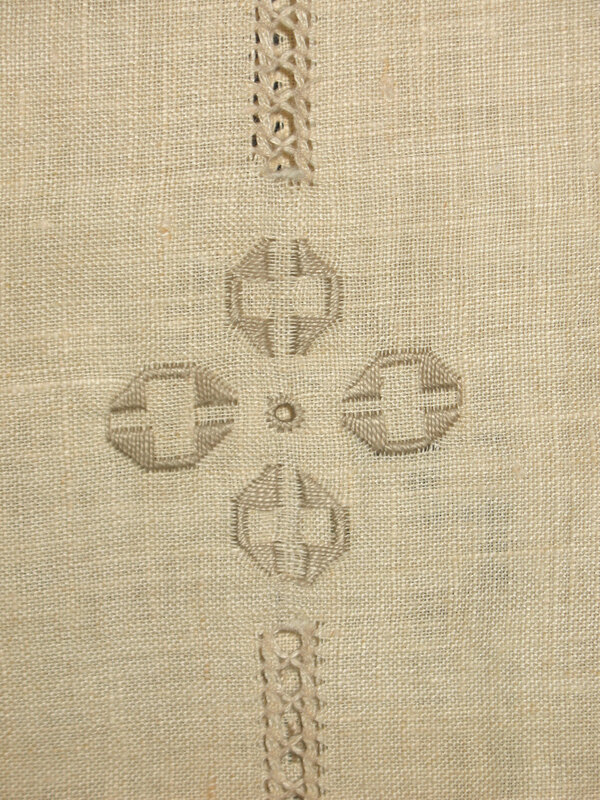 They are irish linen with threads drawn by hand. 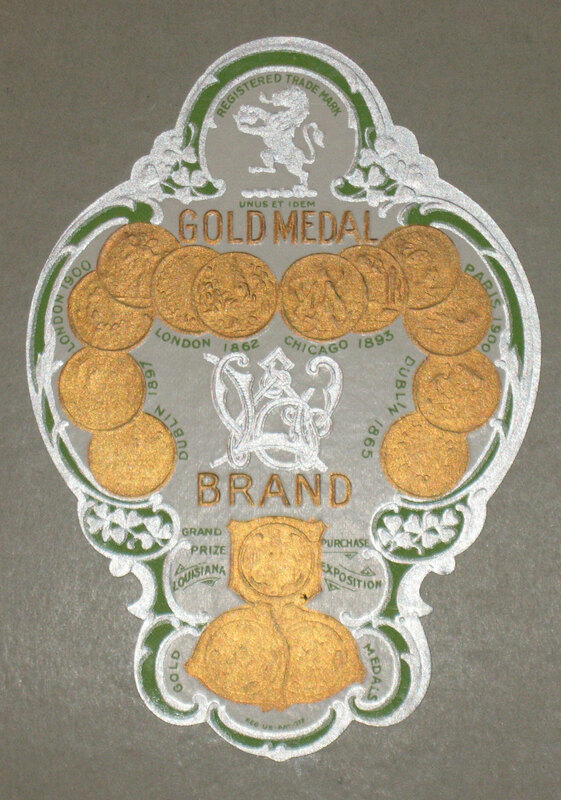 A Gold Medal Brand. They were never used as far as I can tell. Simple but pretty. 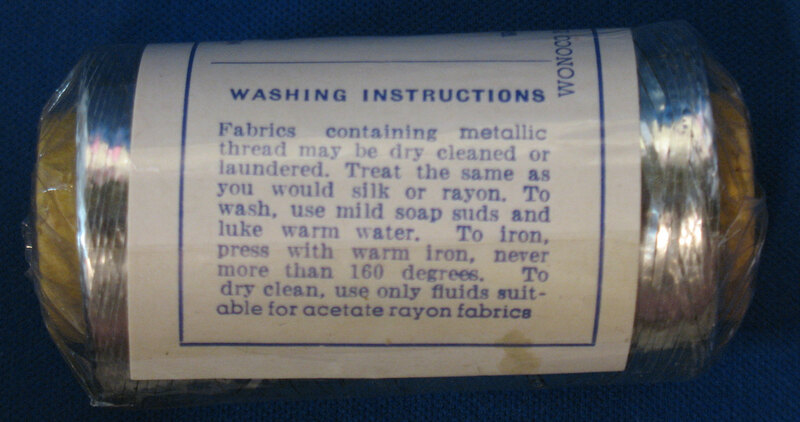 All square items, including the table-cloth which seems different from you’d find today.